Our mission at Texas Unschoolers is to educate and support families exploring alternatives to life and learning. If you offer high quality products or services that might be of benefit to our visitors, and would like to advertise on the site, get in touch through our Contact Page. 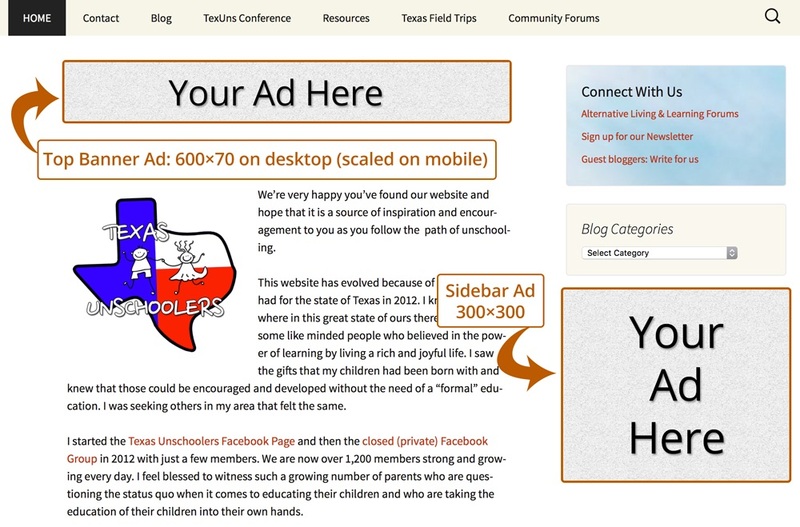 Ads will display on all TexasUnschoolers.com pages and blog posts (excluding the Alternative Living & Learning forums) and will not be rotated with other ads, so you get exclusive placement. 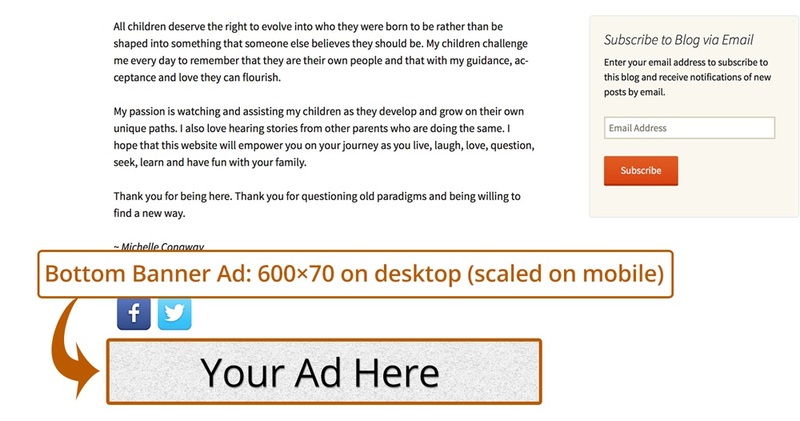 If you would like to advertise on the Alternative Living & Learning forums as well, let us know and we can provide pricing. If you do not already have an ad we can develop one for you for $75 using your graphics and/or choice of text.